The demolition industry’s strive to increase safety and productivity has seen many companies switch to fully hydraulic coupling hitches on their excavators. 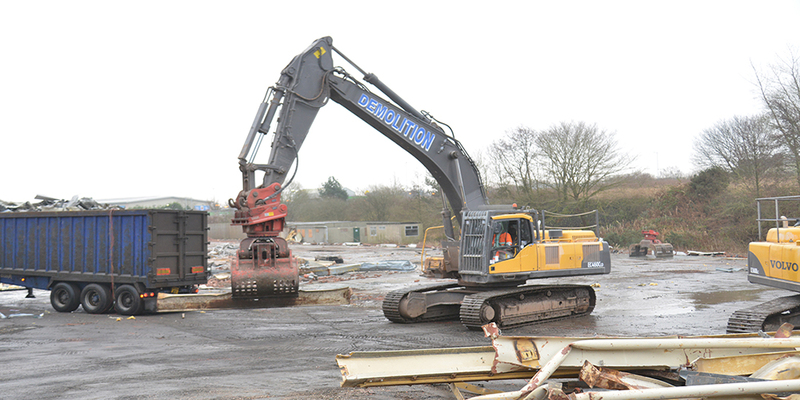 One man leading this charge is Austin Wilkinson, MD of AW Demolition based in Cadishead, Greater Manchester. 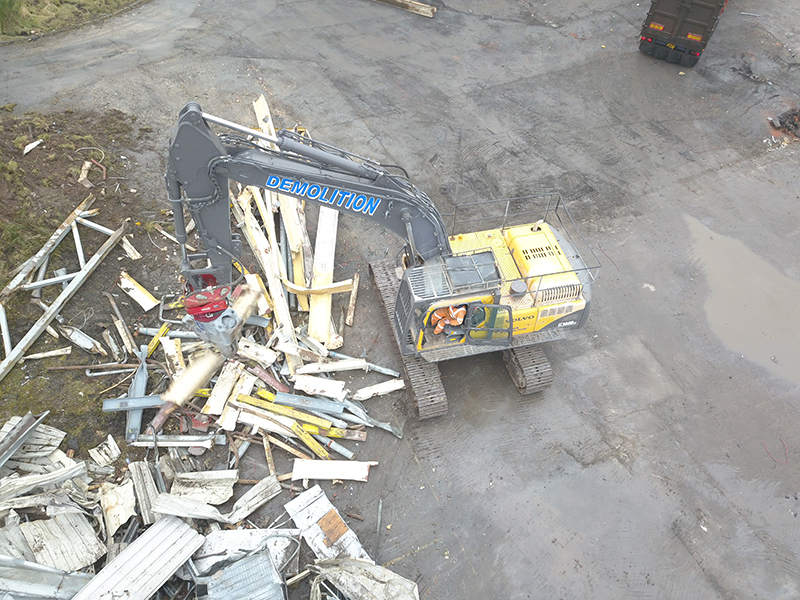 Whilst still a relatively young company, AW Demolition has seen impressive year on year growth with the company undertaking a variety of projects from single dwellings through to the full demolition, land clearance and remediation of a former paper mill site. 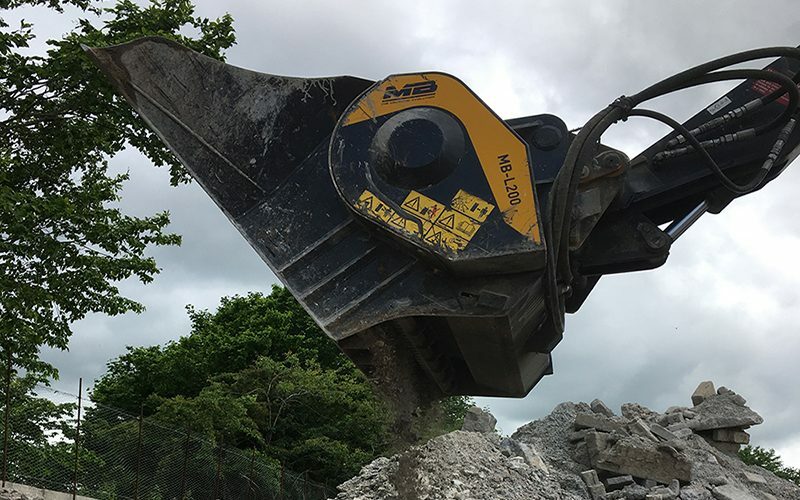 From the company’s inception just 5 years ago Austin’s drive to deliver a cost effective and reliable demolition service has seen the company expand, picking up a raft of blue-chip clients, many of whom are still regular customers of the business. One of the major benefits of having the system is the reduction in damage to hoses. “We noticed our bill for hose repairs almost disappear overnight on the machines with the Variolock fitted. This alone meant downtime was reduced which saved us money and made us more productive.” One particular project where the addition of the Lehnhoff Variolock system really came to the fore was in Bristol where the company were removing a bridge over the main ring road. “We only had room on a nightly road closure to position a single machine to remove the stair cores to the bridge.” Austin explains “To remove the structure and load out the materials would mean us having to change attachments at least once an hour. If we were able to do this without any issue we would still waste 10 minutes on each changeover and have to have the operator clambering over a pile of rubble. 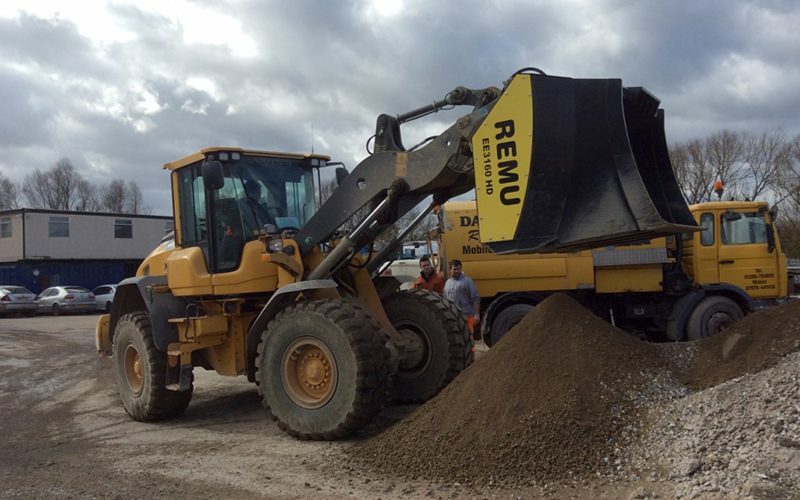 The addition of the Lehnhoff meant he could do it in under 15 seconds and stay in the safe environment of the cab.” The use of the Lehnhoff equipped Volvo meant that just a single machine was able to undertake a job where two machines should have been. This added versatility and ability has resulted in a significant reduction of operating costs, which goes to cover the investment in the Lehnhoff system. 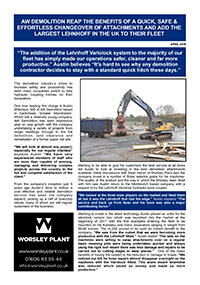 On the back of the productivity gains, Austin again returned to Worsley Plant to supply another Lehnhoff Variolock for the company’s latest purchase, a 72 tonne Volvo EC700C. 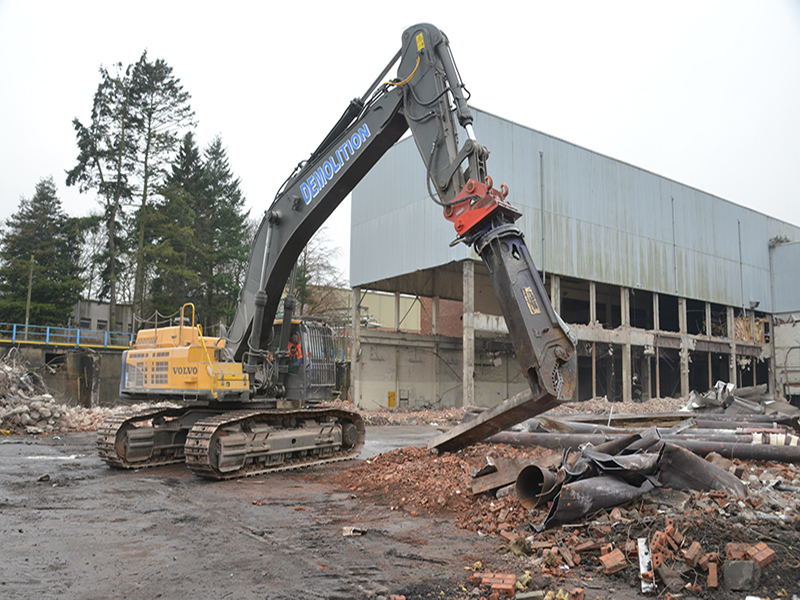 Purchased specifically to undertake the demolition of a paper mill in Scotland, the big Volvo was fitted with the first VL700 coupler to be fitted in the UK. Suitable for excavators in the 40-70t weight range the VL700 is fitted with four DN12, one DN20 and two DN40 couplings and can be optionally equipped with tool recognition, electric power supply and tool data management applications. The size of the fittings is extremely important as they correspond with the pipework supplying the attachment with oil.